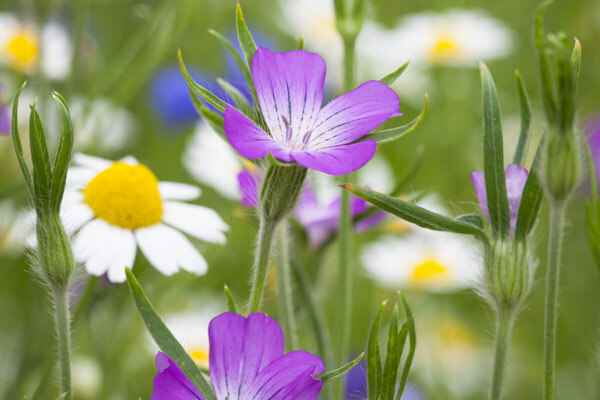 English houses and gardens are a delight to explore on foot and so we have included some magnificent examples as we have created our Foot Trails. (We have created over 1000 miles across South West England). 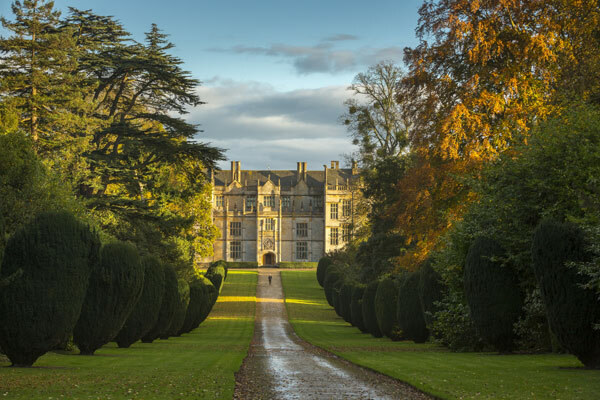 They range from different periods of history and in different counties enabling you to dive into the Elizabethan or Jacobean as you explore and with gardens created by some of the greatest names in English garden design such as Capability Brown. For real house and garden lovers, try Foot Trails English Country Houses and Gardens. A walk and explore style walking trip packed with houses and gardens. Or for a flavour, try Somerset Knights Tale or in Wiltshire, Knights Medieval Castle. Who lived in our stately homes? Our stately homes have had many different owners over the centuries. 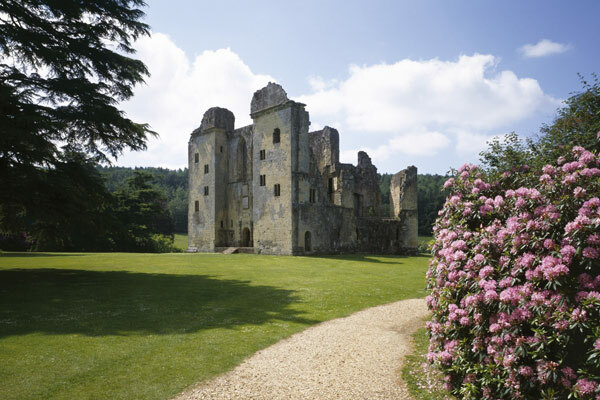 Wardour Castle is one such stately home / castle, in Wiltshire, England. It was built for the Lovell family. 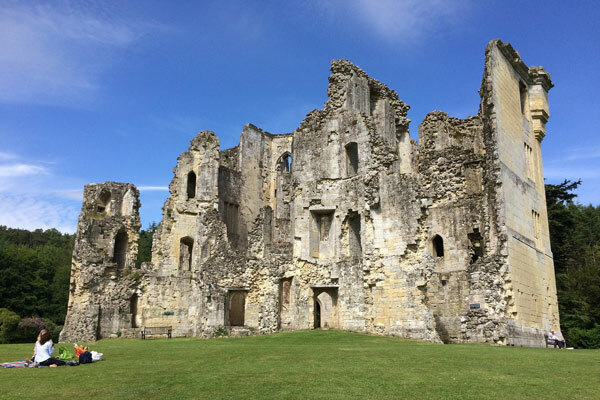 Wardour Castle (Knights Medieval Castle Trail) was a trend setter. At the time it was built English fashion was evolving and Wardour was at the height of the trend. Anyone who was anyone in medieval England had a grand castle! It was a display of wealth and power. In 1393 Lord Lovell enlisted the help of a medieval architect and began to create England’s only hexagonal castle. Lancelot Brown, more commonly known as “Capability Brown” was an English landscape architect. He created over 170 parks including grounds you can see on your Foot Trails including our Knights Medieval Castle Trail. He was nicknamed Capability because he would tell his clients that the property had “capability” for improvement. On Foot Trails Priors View Trail (Complete Cotswolds or Bath City & Country or Bath & Avon) you’ll find the stunning Prior Park. The landscape garden sits in a sweeping valley with views to Bath. The house was designed by John Elder and was built for Ralph Allen, an entrepreneur and philanthropist who was Mayor of Bath and member of parliament for Bath. Allen acquired stone quarries at Combe Down and used the stone to build the city of Bath. 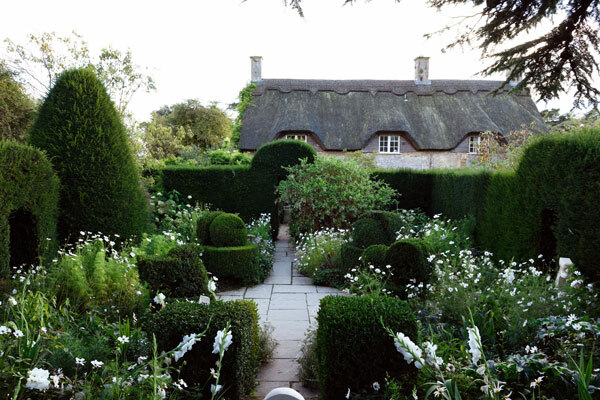 Take Foot Trails Complete Cotswolds trail and you can explore the magnificent gardens at Hidcote. 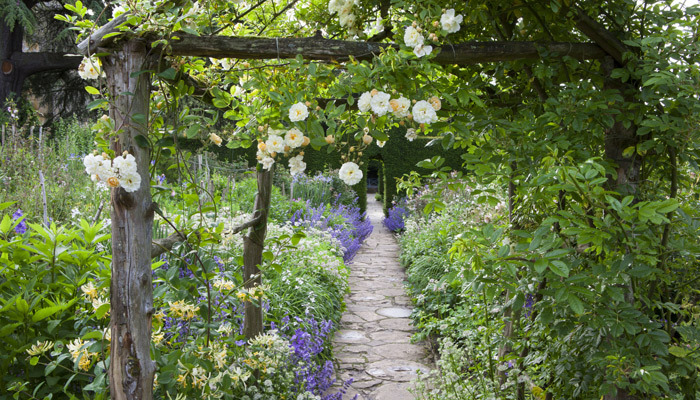 Hidcote is one of the best known and most influential Arts and Crafts gardens in Britain. It has linked rooms of hedges, (the garden is divided into a series of outdoor rooms) and there are rare trees and shrubs and herbaceous borders. On Foot Trails Stourhead, Living Landscapes trail in Wiltshire, you’ll find Stourhead House and Gardens. Now owned by the National Trust it was created by wealthy banker Henry Hoare. Despite its tremendous beauty, with a lake, grand house, temples and grottos, all inspired by Henry’s extensive European travels, Henry’s personal story was tragic. He outlived all of his children, losing two daughters in child birth and he lost two wives. 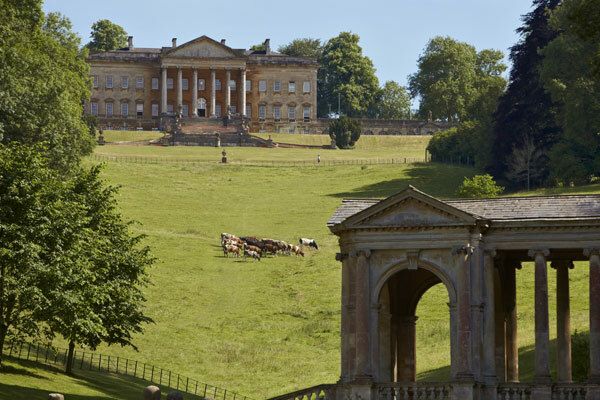 Discover Stourhead on Foot Trails English Country Houses & Gardens Tour. Choose Foot Trails Somerset Knights Quest and you can enjoy exploring Montacute House and Gardens. Montacute is a masterpiece of Elizabethan renaissance architecture and design. With its towering walls of glass, glow of hamstone and surrounding gardens, it is a place of beauty and wonder. At Foot Trails our specialist knowledge means that we can create a trip centered around what interests you most. Maybe you love houses and gardens or simnply find out more about England’s rich history and landscapes.